No one likes to be stood up, especially not for 10 days. Alexander Pieter Cirk made news headlines when he was hospitalised for exhaustion after spending 10 days waiting for his online girlfriend at Changsha Huanghua International Airport in China. The woman, identified only by her surname Zhang, never showed up. According to CCTV News, the 41-year-old Dutchman flew 4,500 kilometres to China to see the 26-year-old Zhang, two months after meeting online. After local media outlets contacted Zhang, she claimed that she thought Cirk was joking when he said he was visiting. Even when Cirk sent her pictures of his air tickets, she didn't take him seriously. "We had advanced our romantic relationship but later he seemed a little callous towards me," Zhang said. "One day he sent me a photo of air tickets abruptly, and I thought it was a joke. He didn’t contact me later." Probed further on why she remained MIA when Cirk tried contacting her after his arrival in China, Zhang revealed that she had turned off her phone as she was undergoing cosmetic surgery procedures in another Chinese city. This whole incident has left netizens feeling torn over pitying Cirk and wondering why he even bothered to wait and neglected his own health. 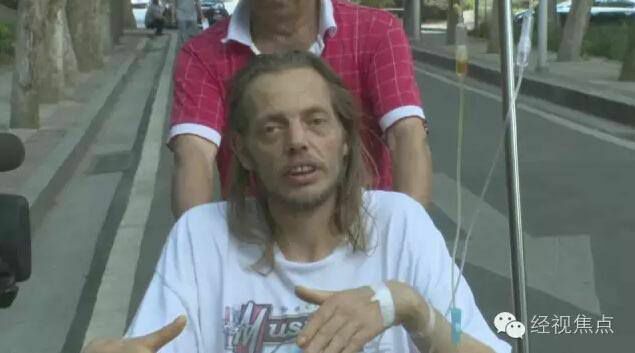 The "jilted' Cirk returned to the Netherlands after being discharged on Monday. However Zhang has insisted that the relationship is far from over, as she plans to meet Cirk in person after she's recovered. Looks like part two of the Cirk-Zhang love story will be coming up soon.